The skin is the largest organ in the human body, and it is constantly bombarded with external stimuli. It offers protection and insulation, prevents dehydration, and senses the environment. But irritants, infections, and inherited genetic mutations cause hundreds of skin disorders, ranging from mild cosmetic conditions to serious diseases such as cancer. 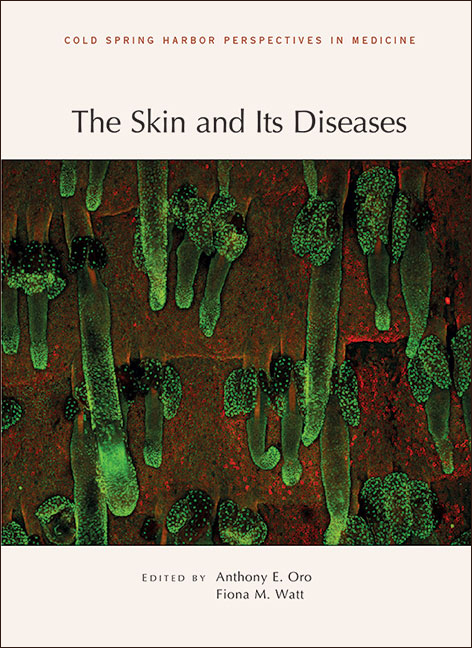 Written and edited by experts in the field, this collection from Cold Spring Harbor Perspectives in Medicine provides a comprehensive review of the biology of the skin, its numerous functions, and the diseases that affect it. Contributors discuss the various components of the epidermis, dermis, hair follicles, glands, and nerve endings that make up the skin, the molecular pathways and processes that underlie their development and function, and what happens when these processes go awry. The important functions of skin stem cell populations in tissue development, homeostasis, and repair are described, as are the roles of resident and recruited cells in inflammatory responses. Several chapters are devoted to cutaneous disorders, including alopecias, carcinomas, melanomas, psoriasis, and genetic diseases such as epidermolysis bullosa. Topics such as age-related changes to the skin, the roles of resident microbes in skin health and disease, and advances in therapies for cutaneous disorders are also covered. This volume is therefore a vital reference for dermatologists, cancer biologists, cell and developmental biologists, immunologists, and all who seek to understand the numerous functions and diseases of this major organ.